Abandoned ships in the Bermuda triangle? 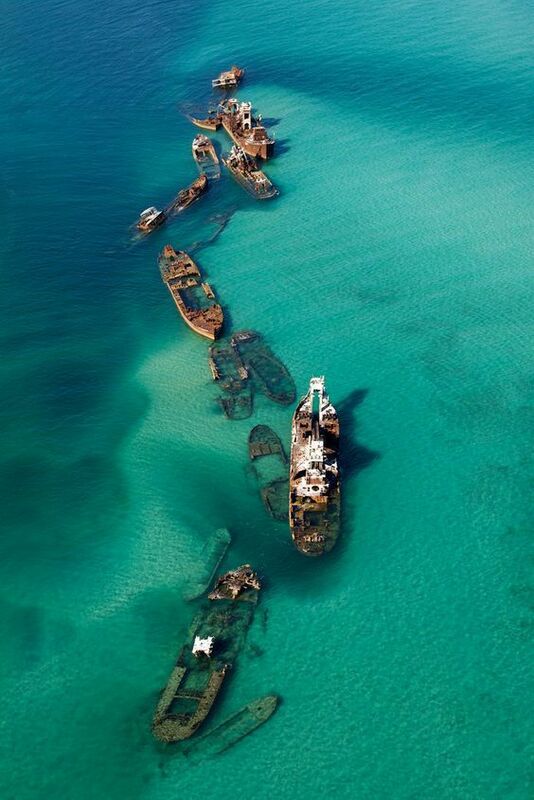 This alleged photo of “Abandoned ships in a sandbar, in the Bermuda Triangle” is still viral. Think about the claim first: Bermuda Triangle is an area where a number of ships and aircraft are said to have disappeared. These ship wrecks are quite visible. This is a photo of Tangalooma Wrecks near the Moreton Island in Australia. The first wrecks were placed there in 1963. Apparently a group of boat owners requested a safe anchorage. As a result, some 15 decommissioned vessels were buried in a sandbank near the Moreton Island. Due to safety concerns, authorities had to cut down the vessels in 2015. The ship wrecks are still there, but they are not as visible as earlier.